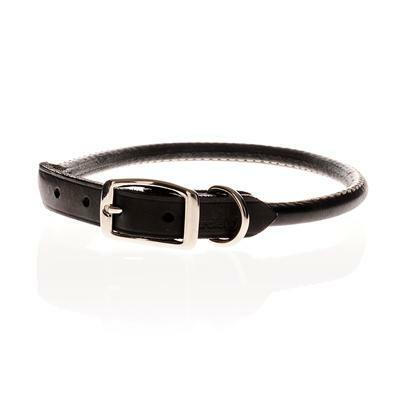 Round Leather Collar is an exclusive pet care product that offers a unique combination of style and durability, keeping your pet safe, comfortable, and attractive. Always choose a collar that is neither too fit nor too loose. Bear in mind that the collar size is the dog's actual neck measurement, not the length of the collar. For instance, an I.E A16'' collar fits a 15'' to 17'' neck.